Kitchen photo: Copyright Kit Latham. Ta da! 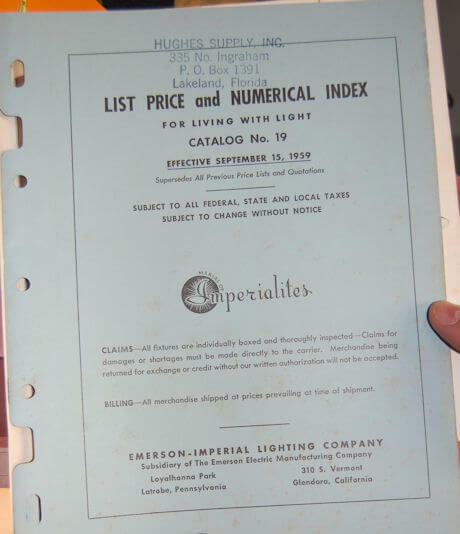 : It’s a 1959 Imperialite, made by Emerson-Imperial. 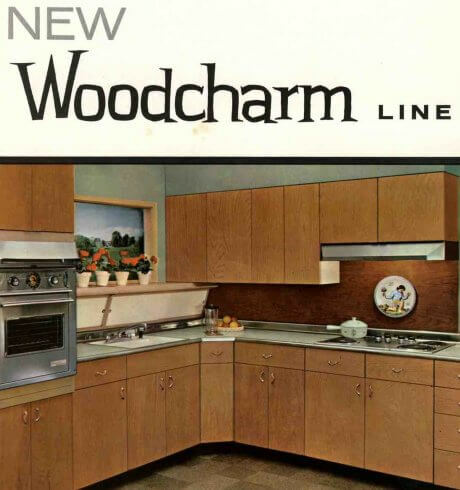 The date on this catalog is Sept. 15, 1959. Hey, my light is 50 years old this year: Like Barbie, and me! Note: I also have been told that pull-down lights like these are no longer to code — that’s why you don’t see them for sale any more. I am not an expert, so if you have a light like this, consult with a professional to assess the situation so that you can make informed decisions. Also, when working with old lights, a pro can also help you assess the wiring situation. For more info see my Renovate Safe page. 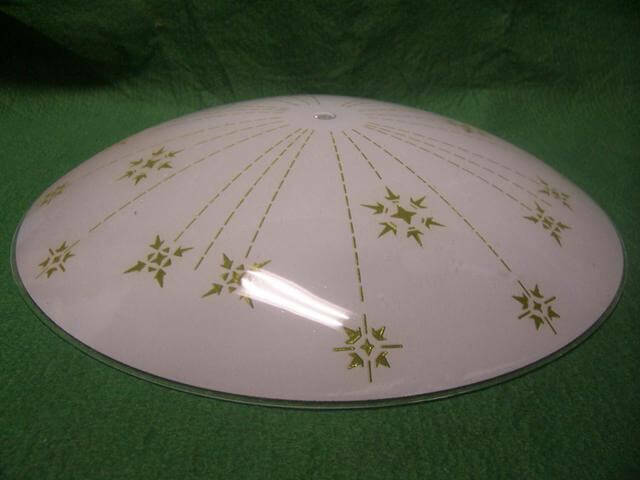 Where to find a shade for my vintage light – a round ceiling fixture? 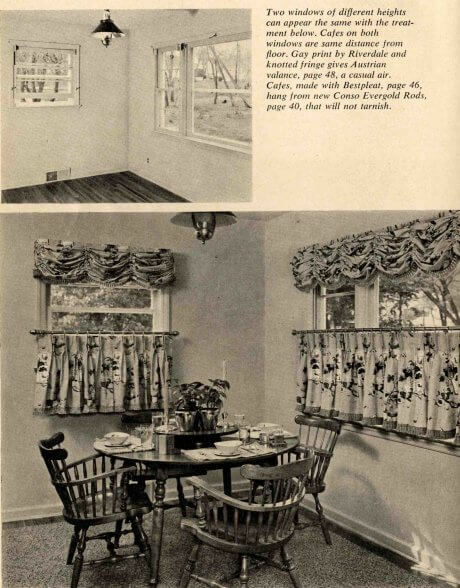 For mis-matched windows: How about cafe curtains with a valence? 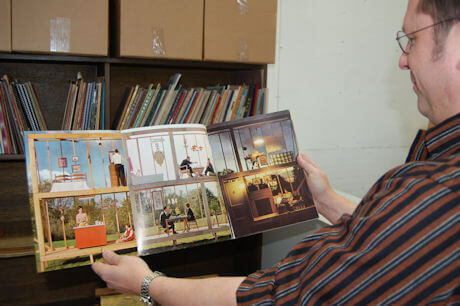 I need to know how the pull-down lamps that were the rage in the ’50’s worked? The pendant-like fixture on my lamp slides up and down but doesn’t do anything else. Obviously something is wrong.l Is the cord supposed to coil up in the aforementioned pendant or what? Chuck, get with a properly licensed professional to assess this issue; old lighting and other old products like this may not be up to current codes; I have been told that pull-downs are no longer to code — get with your own pro. 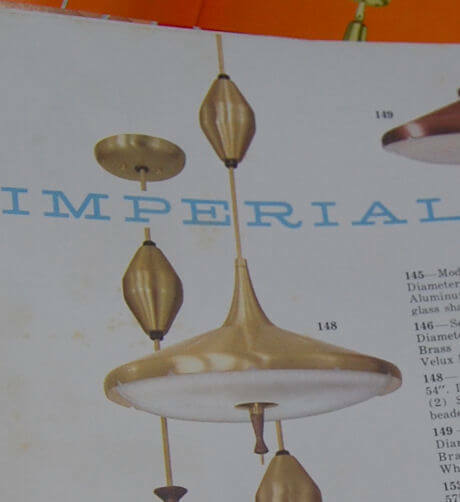 Pam or Kate, how do I identify my 1959 Imperialite pull-down light fixture? Is their an online archived catalog? There are stickers on it showing E12933 and also “electric fixture B-96683”. Appreciate your help. Hi Jim, The only way I know of is to find a catalog. Perhaps Bo can help you. Also remember: I am told these old pull-down lights are no longer to code — consult with a properly licensed professional to assess what you are dealing with so that you can make informed decisions how to handle. Be Safe / Renovate Safe! I purchased a wonderful retro saucer with a retraction bulb, found fabulous olive green pully cord to replace the frayed crumbling cord, but in removing the wire from the pully bulb, I lost the tension in the dual spring mechanism and haven’t been able to solve the rewind issue. I’ve searched high and low for video on this but found NADA. Any insight or direction would be wonderful. Any suggestions? Consult with a properly licensed pro. Note, I’ve been told vintage pull-downs are no longer to code but I am not the expert. 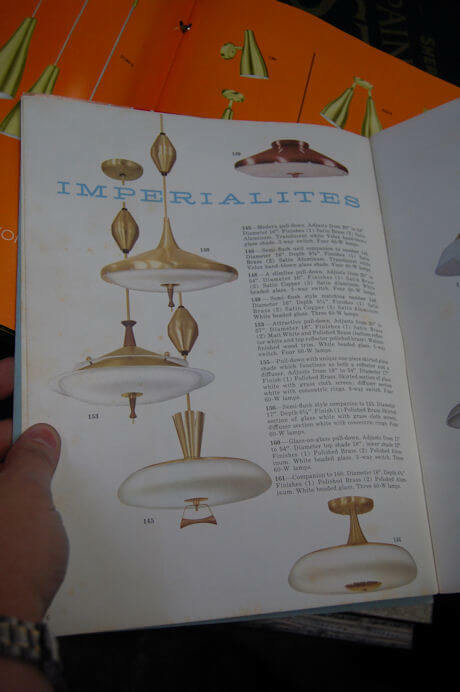 Are there any resources available related to repairing the retractable mechanism for mid-century pull-down lamps? I found one that I love, but the pull down mechanism will not release the cord. Some of the pull down lights were on a track. 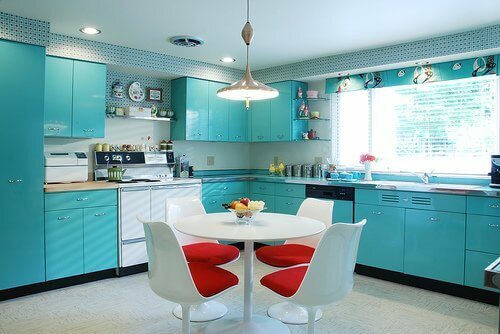 My mom had one that she could pull out to center over the kitchen table when company came or push back when the table leaves were collapsed. I remember her light had weights on the cord to pull it down which looked like a scallop. Does anyone know what these cord weights were called or where they might be found for purchase?